From knitting to appliqué, crochet to embroidery, students are learning all sorts of textile skills in workshops at CAM Raleigh. 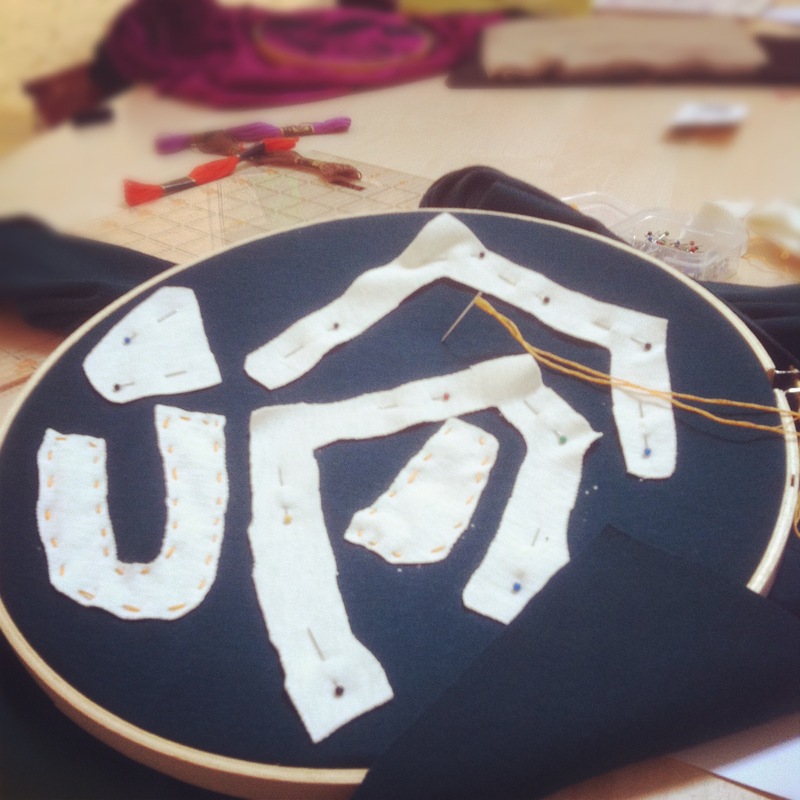 All the CAM Raleigh textile workshops are open to ages 14 and up, and often include a mix of high school students, some 8th graders, college students and other adults. It's a great way to learn a new skill, while spending time with a friend or family member. The $30 fee includes all necessary supplies. The next two workshops include Intro to Embroidery with Katherine Diuguid on Saturday, April 14, and Learn to Crochet with Cayce Lee on Saturday, May 5. Interested? Check out the registration information here: Embroidery and Crochet. Inspired by the amazing textiles pieces in the exhibition Deep Surface: Contemporary Ornament and Pattern (2011) like Alabama Chanin's Addie Dress, and Jongeriuslab's Sampler blanket, the textile skill-building series kicked off with a Saturday workshop in appliqué and reverse appliqué techniques, taught by Cayce Lee. 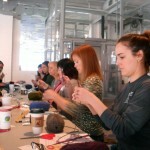 The second class in this unofficial series was Katherine Diuguid's "Learn to Knit." 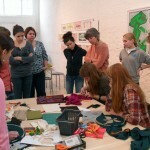 A group of students spent their Saturday morning students jumping into the world of knitting. They learned to cast on and purl. Katherine provided each student with a great handout to keep them going after the class, and the students left with a few stitches, a skein of yarn, and their own knitting needles.